Charlotte Mason put a strong emphasis on nature in her educational philosophy. 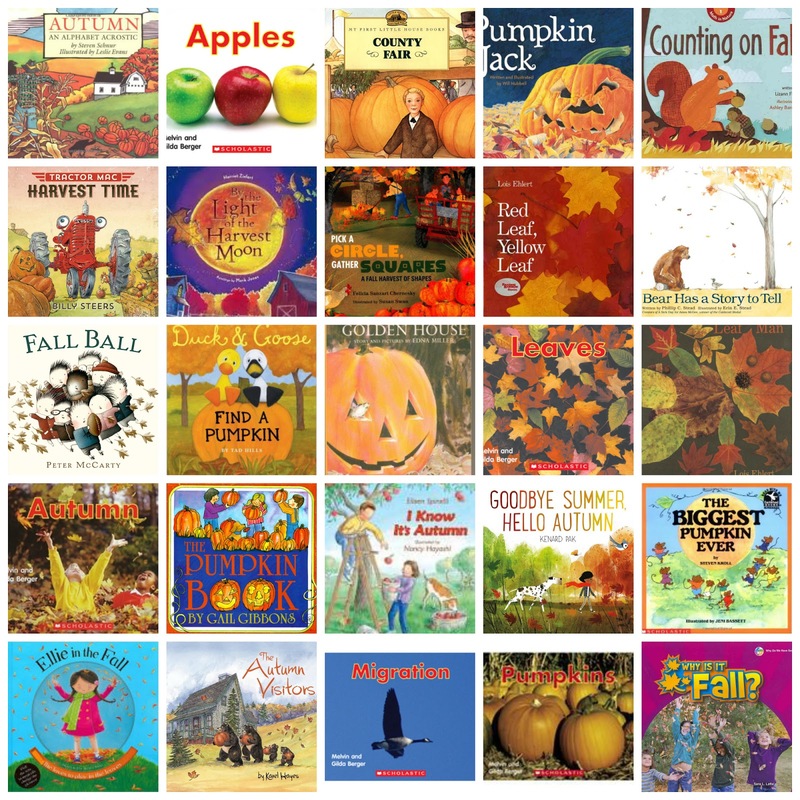 And fall is such a wonderful time to incorporate nature studies. 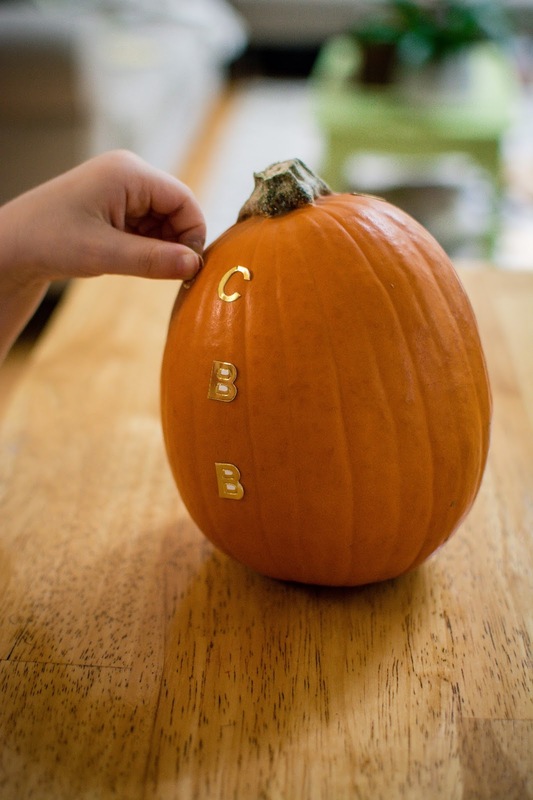 We also decorated our pumpkin with alphabet stickers. I had originally intended to paint our pumpkins because carving pumpkin just isn't young child friendly and I wanted them to be able to be hands on in the pumpkin decorating. 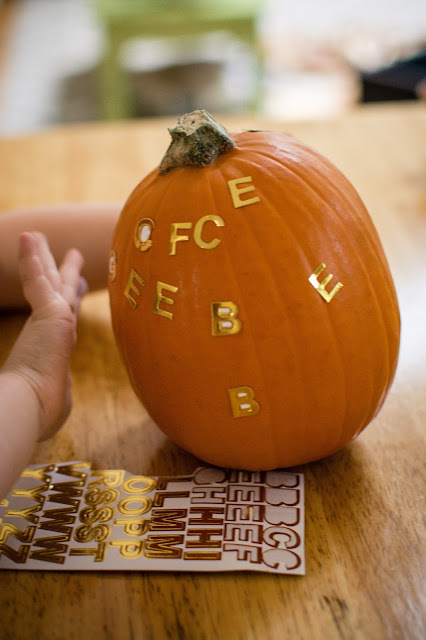 But fall has gotten so busy with photography for me so we just used some alphabet stickers I had on hand for an easy mess free pumpkin decorating activity. We talked about the letters and their sounds as we decorated. 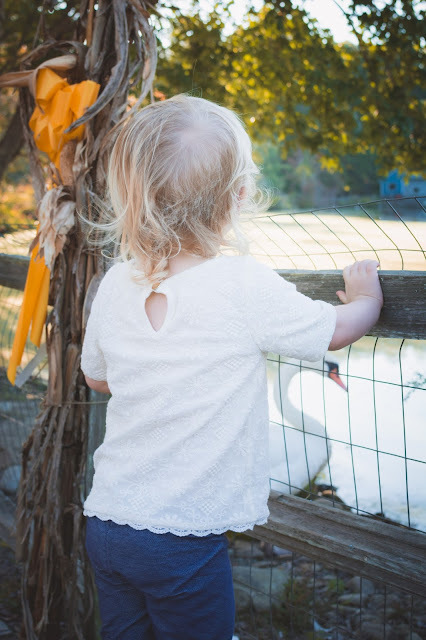 We also visited the pumpkin patch. 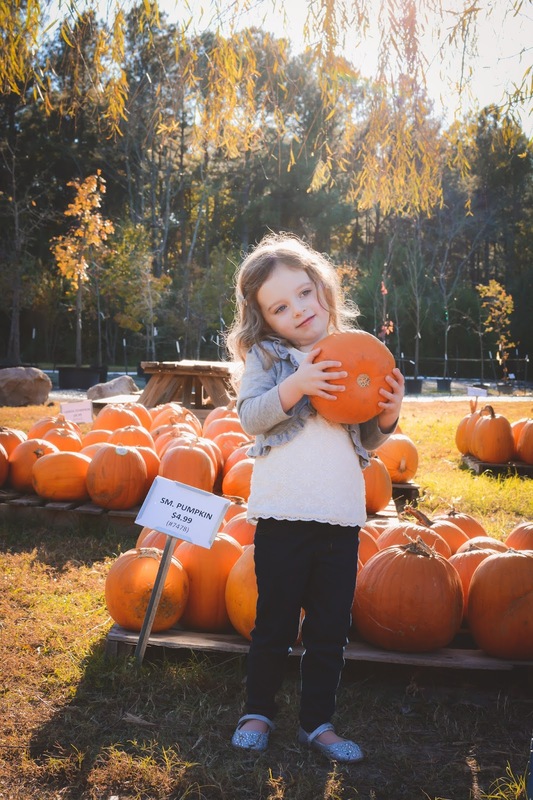 Now there are lots of pumpkin patch options in our area. 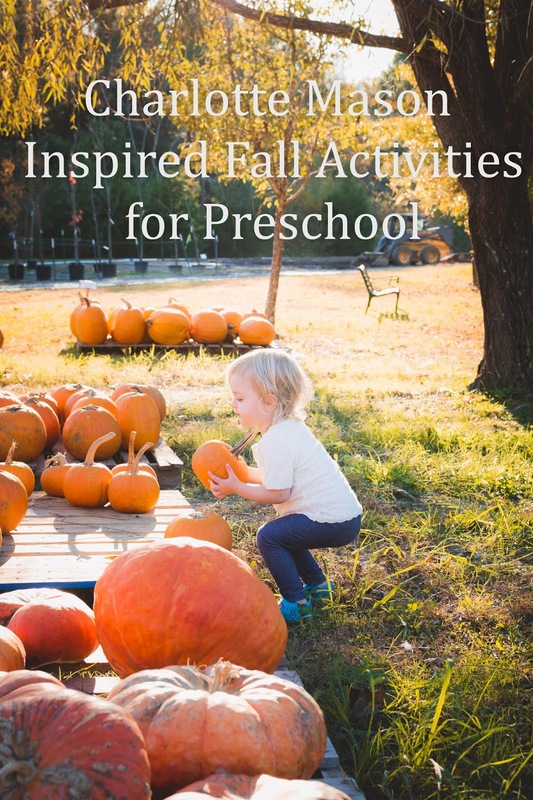 But keeping with our theme of Charlotte Mason inspired homeschool preschool I wanted out pumpkin patch visit to not feel like we're visiting a mini fair or mini theme park. I wanted a simple setting that encouraged the girls to play and explore their natural environment. Fortunately a little nursery down the road was perfect for that. There were goats to feed, a swam to greet us, a little bridge over a trickling creek to explore and pumpkins to pick from. 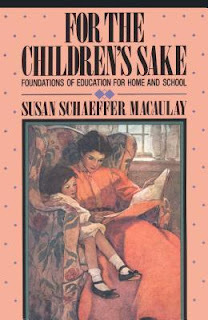 1) gathering acorns and playing imagining games with them (they became "food", currency, people- all kinds of things in our imaginary play) Charlotte Mason puts a strong emphasis on these types of unorganized play for children. Like I said, keep check back as I'l be updating this post with more fun fall homeschool preschool activities through the end of November.